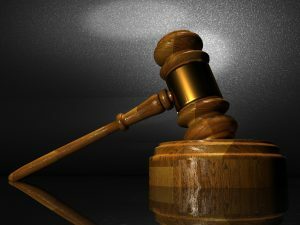 Weeks ago, an Oregon plaintiff filed a lawsuit that challenged the H-1B lottery as violating the immigration law which provides that visas will be issued on a “first come, first serve” basis in accordance with their filing dates. The judge dismissed the case, ruling that the official filing of an H-1B visa occurs only when the lottery winners are randomly selected. In the weeks since this court ruling, H-1B visas have reached their cap for the 2018 fiscal year. How Does the H-1B Lottery Work? American employers can file H-1B visa petitions on behalf of highly skilled foreign workers in specialized fields. Each year, 65,000 employment visas are allocated toward these workers, with an additional 20,000 available for U.S. advanced degree cases. Petitioners may file the visa requests beginning on April 1st each year. All petitions submitted within the first five days will go into the lottery, under which a computer randomly selects who will receive H-1B visas. 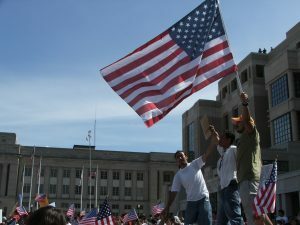 Once the annual cap has been met, however, the United States Citizenship and Immigration Services (USCIS) will continue to accept applications to extend existing H-1B visas, change the terms of employment for immigrants with H-1B visas, and allow H-1B visa holders to change employers or add a second employer. The Oregon case highlights various controversies surrounding the H-1B visas, which President Trump brought into the public eye earlier this year with an announcement that he was considering an overhaul of the visa program to increase the waiting period for receiving visas and restrict the number of H-1B visas available annually. Such changes, if put into effect, would adversely affect technology companies, higher education and the health care industry which all depend on foreign workers to fill STEM positions. While the current administration seeks to refocus on providing jobs to American citizens, many foreign hopefuls—including the Oregon plaintiff—believe different H-1B reforms are necessary. The plaintiff argued that the lottery is unfair, awarding visas to some applicants and denying them to others based solely on the luck of the draw. 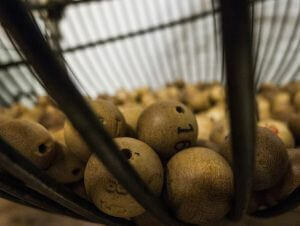 The plaintiff argued that a waiting list should be implemented in lieu of the lottery. Although the case was dismissed, it highlights potential problems with the current lottery system. Brownstein & Nguyen has decades of experience helping immigrants navigate the complicated U.S. immigration laws surrounding temporary visas and green cards. Contact us today to evaluate your immigration case. Six years ago, President Barack Obama signed the Deferred Action for Childhood Arrivals (DACA) into law, giving hundreds of thousands of young adults who were brought into the United States as children a chance to live a normal life. Those who applied for DACA status and met the requirements were able to go to college, legally work, and get driver licenses to allow them to come out of hiding and become productive residents of the United States without fear of deportation. Now, under the Trump administration, undocumented immigrants, including these young adults and their parents, could lose their right to work legally in this country and countless families could be torn apart. What many fail to realize, though, is that if President-elect Trump makes good on the promise he made to his voters, the U.S. economy will also suffer because of it. If DACA is repealed, almost 645,000 undocumented immigrants will lose their right to work in the United States. Businesses would be legally obligated to immediately terminate workers who are undocumented. This would mean having to find and train new employees to fill these job vacancies. According to the Immigrant Legal Resource Center in San Francisco, this could possibly cost businesses up to $3.4 billion dollars. However, it is not just the cost to businesses that could cause major setbacks if immigrants lose DACA status; there are additional implications to the economy. The U.S. would also lose the tax revenue that comes from the undocumented workers protected by DACA. This means diminished contributions to Medicare and Social Security (losses totaling roughly $4.6 billion and $19.9 billion respectively). 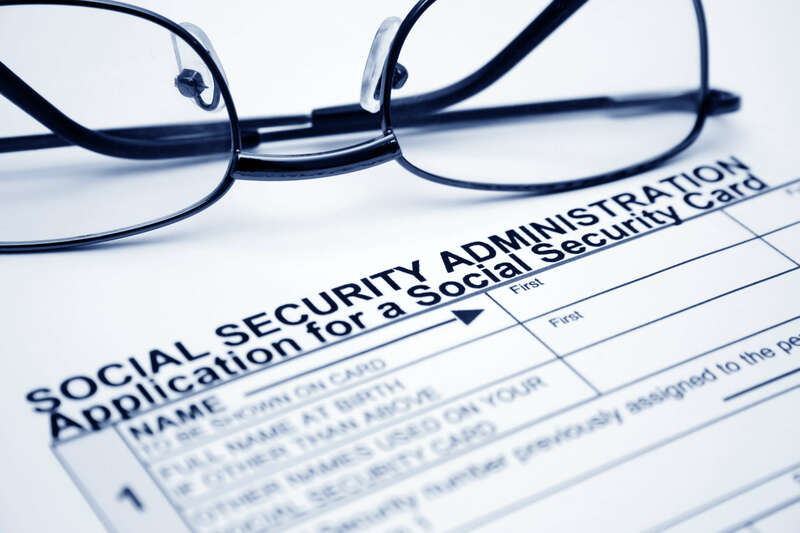 These programs are already struggling; the loss of immigrant contributions could mean reducing payments to many elderly citizens who rely on them to live. If you are currently protected by DACA, it is important to be informed about how potential changes to U.S. immigration law may affect your immigration status. The attorneys of Brownstein & Nguyen are on your side. Contact us for legal assistance with your Atlanta immigration case. The states of Washington and Minnesota (later joined by 17 more states) filed a lawsuit against President Trump’s recent executive order banning entry into the United States by citizens of 7 majority Muslim countries, claiming the ban harms the interests of the states, their citizens and legal residents. On February 9, a three-judge panel of the 9th Circuit Court of Appeals unanimously voted to uphold federal district judge Robart’s temporary block of President Trump’s administration ban. What does this decision mean for U.S. citizens, refugees, and immigrants? The administration argued that the judiciary branch should defer completely to the executive branch on orders purportedly affecting national security, primarily because the court is not aware of pertinent classified information that only the president knows. In upholding lower court’s decision, the appeals court rejected this argument, affirming that under the U.S. constitution the courts play a critical role in acting as a check on the power of the executive branch, including immigration matters. [T]he Government has taken the position that the President’s decision about immigration policy, particularly when motivated by national security concerns, are unreviewable, even if those actions potentially contravene constitutional rights and protections. . . There is no precedent to support this claimed unreviewability, which runs contrary to the fundamental structure of our constitutional democracy. . . [T]he Supreme Court has repeatedly and explicitly rejected the notion that the political branches have unreviewable authority over immigration or are not subject to the Constitution when policymaking in that context. The 9th Circuit also held that the states showed a likelihood of success on their contention that the immigration ban violates due process rights afforded to non-citizens as well as U.S. born citizens, naturalized citizens, green card and visa holders. The procedural protections provided by the Fifth Amendment’s due process clause are not limited to citizens. Rather, they “appl[y] to all ‘persons’ within the United States, including aliens,” regardless of “whether their presence here is lawful, unlawful, temporary, or permanent.” . . . These rights also apply to certain aliens attempting to re-enter the United States after traveling abroad. While the Trump administration claimed that the immigration ban was a pressing matter of national security, the 9th Circuit court held that the administration failed to present evidence supporting the immediate need for the order. The court also considered evidence presented by the states that doing so could harm U.S. interests and those of its citizens and legal residents. [T]he public has a powerful interest in national security and in the ability of an elected president to enact policies. . . [T]he public also has an interest in free flow of travel, in avoiding separation of families, and in freedom from discrimination. We need not characterize the public interest more definitely than this; when considered alongside the hardships discussed above, these competing public interests do not justify a stay. After initially seeking reconsideration by the full 9th Circuit, yesterday the Trump administration withdrew its request and told the court it would rescind the travel ban, a complete victory for the states. The president has promised to issue a new executive order soon that complies with the law. The states, immigration advocates and affected families and individual will be watching, ready to challenge the president again if he oversteps his authority. The attorneys at Brownstein & Nguyen have decades of experience with immigration cases in Atlanta. Contact us to evaluate your immigration case today. When it comes to matters of immigration and national security, the courts often defer to the executive branch. But with President Trump’s recent immigration order, announced with much fanfare late Friday, January 27, 2017, concerned immigration advocates, citizens and affected individuals are pushing back. The ban seeks to temporarily block entry into the U.S. for citizens and immigrants from seven countries in the Middle East, and blocks entry for nearly all refugees. The question the administration and country face: is Trump’s immigration ban unconstitutional? Because the detention of green card holders occurs on a case by case basis, immigrants on student visas or work visas, among others, may be denied re-entry into the U.S.
Is the Immigration Ban Legal? Many American citizens and legal residents have pushed back against the immigration ban. An order by Seattle federal district judge James Robart placed a temporary restraining order on the executive order on Friday, February 3rd. This was the second federal judge to do so. The matter has gone to the Ninth Circle Court of Appeals, which is currently debating whether to reinstate Trump’s immigration ban. They are expected to reach a decision this week on the legality of the ban. If you or someone you know may be affected by the immigration ban, contact Brownstein & Nguyen to evaluate your case. The 2016 presidential election has left many immigrants and others concerned with immigration reform reeling. President-elect Donald Trump focused heavily on deportation plans and immigration bans during his candidacy. With the new administration poised to take office in just a few weeks, Trump’s policies c0ould have a major impact on U.S. immigrants. The Deferred Action for Childhood Arrivals (DACA) policy, initially put into place by President Obama in 2012, protects immigrants who arrived as children from deportation by giving them access to temporary work visas. President-elect Trump has promised “on day 1” to reverse executive actions like DACA that protect undocumented immigrants. If he does so, it will remove protected status from some 750,000 immigrants, putting them at immediate risk for deportation. Advocacy groups recommend that undocumented immigrants not currently protected under DACA refrain from applying for DACA status until the Trump administration makes clear their plans for immigration and deportation. Never one to mince words, Trump did not shy from denouncing Mexican and Muslim immigration during his campaign. Although the Trump administration has yet to release an official statement on immigration policy, a leak by Trump transition team member (and one-time candidate for a Cabinet position) Kris Kobach outlined several potential Homeland Security plans. On December 22, 2016 the Obama administration officially terminated the NSEERS program. However, the Trump administration could reinstate it or something similar. Immigration groups are already pushing back against President-elect Trump’s proposed policies, which threaten the rights and freedom of both documented and undocumented immigrants to the U.S.
Brownstein & Nguyen has decades of experience handling complicated immigration issues. Don’t live in fear of deportation. Contact our Atlanta immigration law office to evaluate your case. The Supreme Court recently heard and decided the case of USA v Texas. This lawsuit was instituted by twenty six states, challenging the constitutionality of President Obama’s immigration executive actions, including the 2014 executive order creating DAPA (Deferred Action for Parents of Americans). This program provided deferred action from removal (or deportation) to law-abiding immigrants. About 4 million immigrant parents of children born in the United States would have qualified under the program, allowing them to remain in the U.S for up to 3 years. The primary question before the Supreme Court involved the extent of the president’s power to interpret and implement federal laws in a manner consistent with his own policy goals. Article II of the constitution obligates the president to ensure that laws are faithfully executed, a provision with its roots in the American Revolution. Another controversial issue raised by this case is the tradition of prosecutorial discretion, or the ability of the executive branch to determine whether to prosecute individuals who are accused of violating federal law. Could the executive branch rely on a traditional exercise of discretion in delaying deportation in the least crucial immigration cases? The Obama administration relied upon the 1985 ruling in Heckler v. Chaney to support the constitutionality of DAPA. In that case, the Supreme Court found that the Food & Drug Administration could legally exercise discretion not to enforce a governing statute. However, the court further observed that the principal of prosecutorial discretion is not unlimited. For instance, this principal cannot be employed to justify a broad policy decision that would exclude an agency’s legal duties (e.g., the executive branch is not allowed to stop enforcing duly enacted federal drug policies). The Supreme Court therefore needed to decided in USA v. Texas whether Obama’s immigration policy was akin to a prosecutor refusing to press charges in certain cases, or whether it was a broad policy decision that abdicated the executive branch’s constitutional duty to faithfully execute the law. Following the death of Justice Antonin Scalia, only 8 Justices of the Supreme Court heard the case of USA v. Texas. The court deadlocked on the constitutional questions before it, with a split vote of 4 to 4. Unfortunately, this amounts to a non-decision and leaves in place a lower appeals court ruling permanently blocking President Obama’s executive actions on immigration. As a result of the Supreme Court’s failure to affirmatively decide this important issue, millions of law-abiding residents who would have been eligible for relief under DAPA may one day face deportation despite having U.S. born children with lives here and who need their parents for support. At the Atlanta attorney offices of Brownstein & Nguyen, we have decades of experience handling matters for thousands of clients in the complicated area of immigration law. If you, a family member or friend need help with legal immigration, contact our offices for a case evaluation. A reduction of immigration detention beds from 34,000 to 30,918, resulting in savings of $169.3 million. 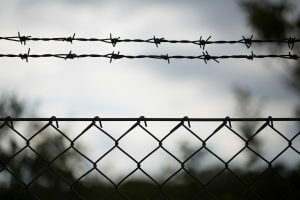 A portion of these savings would be re-directed toward cost-effective alternatives to detention (ATD) provided by the Immigration and Customs Enforcement (ICE) for illegal immigrants not seen as a flight risk, such as electronic monitoring and intensive supervision. An increase of $1.2 million for Critical Life and Safety Infrastructure Repair. 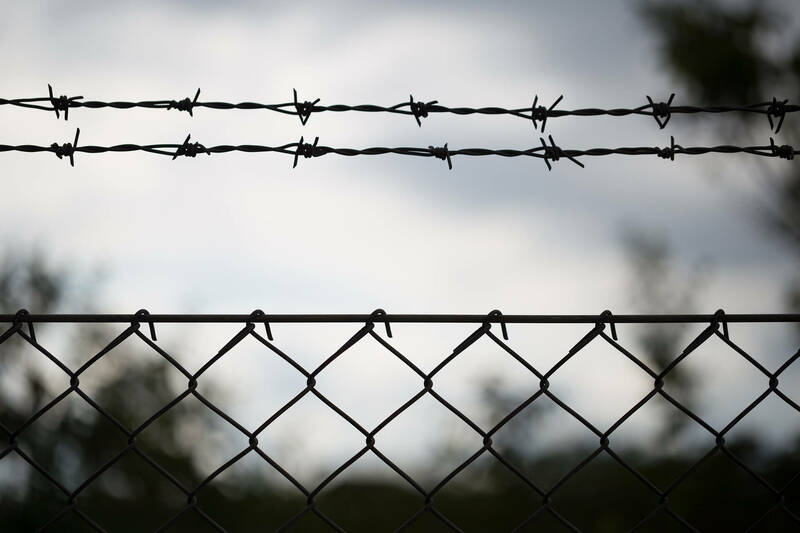 This would allow existing detention facilities in San Pedro, El Paso, St. Croix, Aguadilla, El Centro, and St. Thomas to undergo system upgrades with the installation of fire alarms and smoke detectors as well as the repair of sprinkler systems. An increase of $6.4 million for the Criminal Alien Program. This increase would allow for a larger workforce of officers to enforce the DHS Priority Enforcement Program (PEP) in identifying, apprehending, and removing criminal aliens. 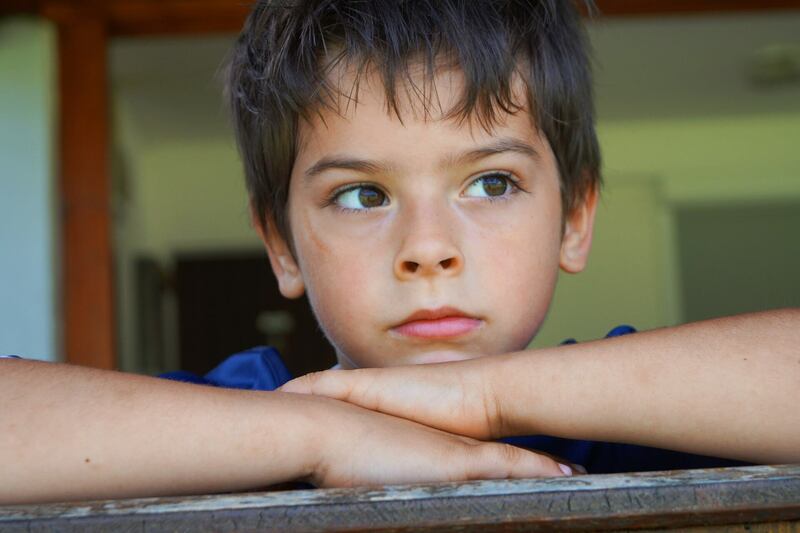 An increase of $13.2 million for costs associated with the transportation of unaccompanied children. This increase will allow DHS to transport unaccompanied minors into the custody of Department of Health and Human Services (HHS). Contingency funds are also included in the budget should the number of unaccompanied children surpass previous year levels. With these proposed budgetary items, there is hope that reform is still a possibility within the immigration system. However, for immigrants whose lives in our country are held in the balance, proposed budgets may not be enough. Time is of the essence, and having legal support is one of the most effective ways to fight for legal immigration. The law offices of Brownstein & Nguyen invite you or anyone you know to contact us for their immigration needs or questions on current immigration topics, including immigration reform. 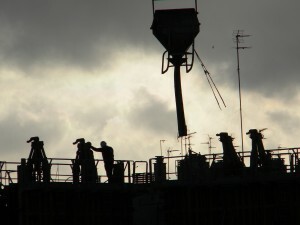 The primary purposes of the EB-5 investment visa program, enacted into law by Congress in 1990, were to stimulate the U.S. economy and provide for a means of attracting additional foreign investments. In theory, and when the EB-5 program is used properly, the economic boost is evident through the specific requirements for job creation and capital investment. Unfortunately, over the years unscrupulous real estate developers and other promoters have discovered and exploited loopholes in the EB-5 program, resulting in it not working as intended in some cases. While overall the program has been a success and achieved its stated goals, it is currently under attack due to suspected fraud, abuse, and national security concerns. As with any program, change is needed to keep up with current times. 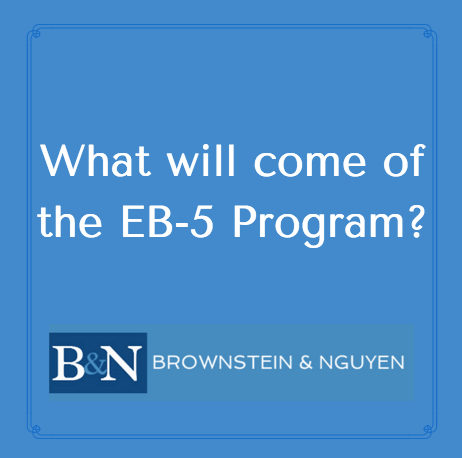 On and after February 11, 2016 proactive changes may come about as the result of an examination of the EB-5 program by the House Judiciary Committee. At present, the EB-5 program has two main criteria that must be met for a given investment to potentially qualify for a visa. These requirements include specific details regarding anticipated job creation in a targeted geographic area and a minimum capital investment that must take place in conjunction with the granting of an EB-5 Visa. Specific definitions and details are provided regarding job creation requirements, including those relating to troubled businesses, qualified employees, full-time employment, and job-sharing arrangements is further detailed. The capital requirement for the EB-5 Program currently is a minimum of $500,000 to $1 million readily available to invest in the U.S. depending on the nature of the specific investment. The standard investment amount required for an EB-5 visa is $1 million. However, when the investment involves a targeted employment area (defined as either rural or an area with high unemployment), the minimum qualifying investment drops to $500,000. Investment capital must be shown to come from personal sources, and may not be borrowed. Only time will tell what the future holds for the EB-5 program. 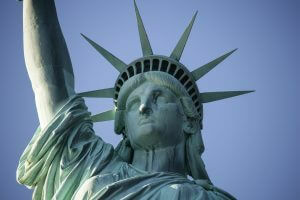 At Brownstein & Nguyen, we keep a watchful eye on current events and reforms associated with immigration law. Our goal is to serve and educate clients to the best of our ability for all of their immigration needs. Contact us today for a consultation with the Atlanta immigration lawyers at Brownstein & Nguyen. With concerns over fraud and poor oversight, the debate over EB-5 visas has prompted Congress to respond with a draft to renew current EB-5 legislation that is set to expire on December 11, 2015. This concern is related to the many high-end real estate projects in larger cities that have benefited with job creation from the program for the past several years. Meanwhile, smaller projects in more rural areas or impoverished areas may have been crowded out of the program because of the limited number of green cards available each year to foreign investors. With this draft, which is co-sponsored by Senators Charles Grassley and Patrick Leahy, proposed changes to EB-5 program seek to prevent future program abuses from occurring. It’s expected that these changes will increase opportunities for investors with smaller projects to qualify for EB-5 visas. The number of green cards for lower level projects would increase from 3,000 to 4,000 out of the 10,000 EB-5 visas available. Projects, including government infrastructure or manufacturing would be placed in their own categories that will qualify them for a lower fundraising level, along with those in designated federal economic development zones. Fundraising levels would rise from $500k to $800k for lower level projects and from $1 million to $1.2 million for larger projects. To qualify for high unemployment area benefits, the location of the project would need to take place or next to a census tract that has an unemployment rate of that is equal or more than 150% of the national average. Projects located in areas where the poverty rate is 20% or higher will qualify for additional consideration with other federal economic development programs. Don’t struggle with the EB-5 process alone. Contact the immigration law experts at Brownstein & Nguyen.